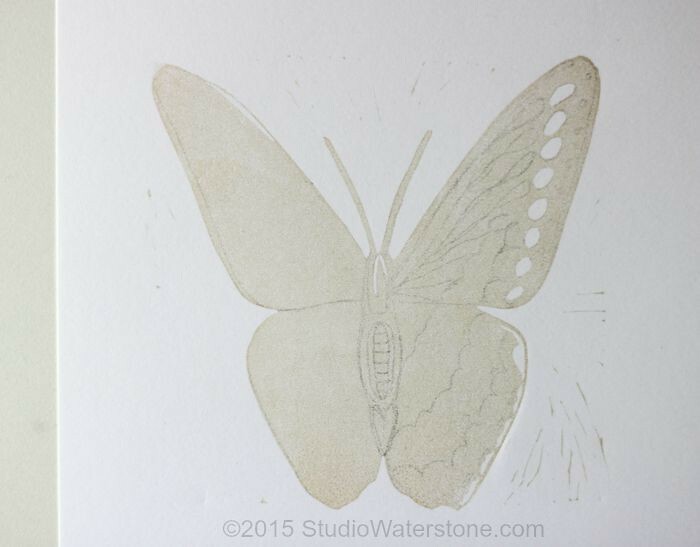 After 32 "Weeks" of Printing, it's time to put on my big girl pants and move past a simple monoprint. 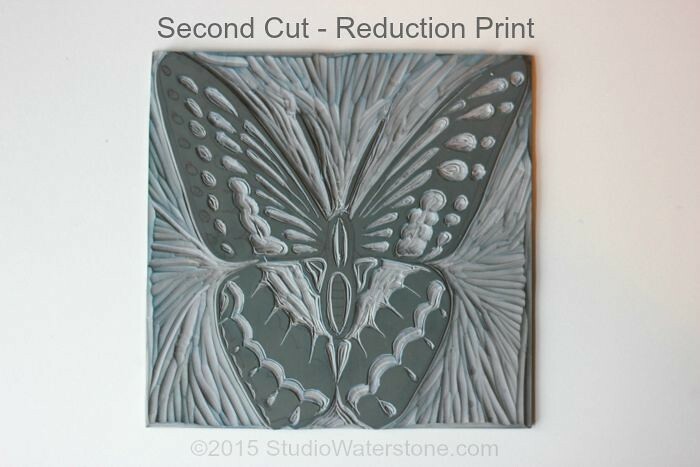 This week I eased into the world of reduction printing. 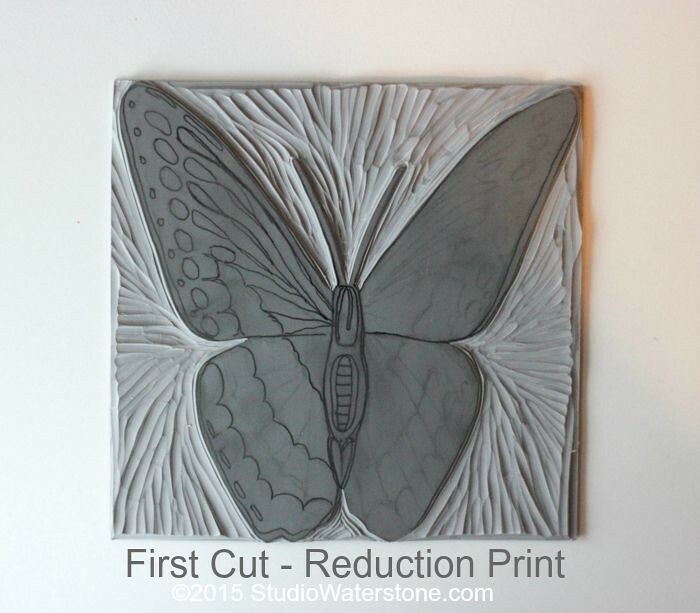 It's still a carved block print made with linoleum or wood blocks. In Wikipedia's words, a reduction print is a multicolor print in which separate colors are printed from the same block at different stages. I know. Kind of scary because if you make a mistake there's no going back. 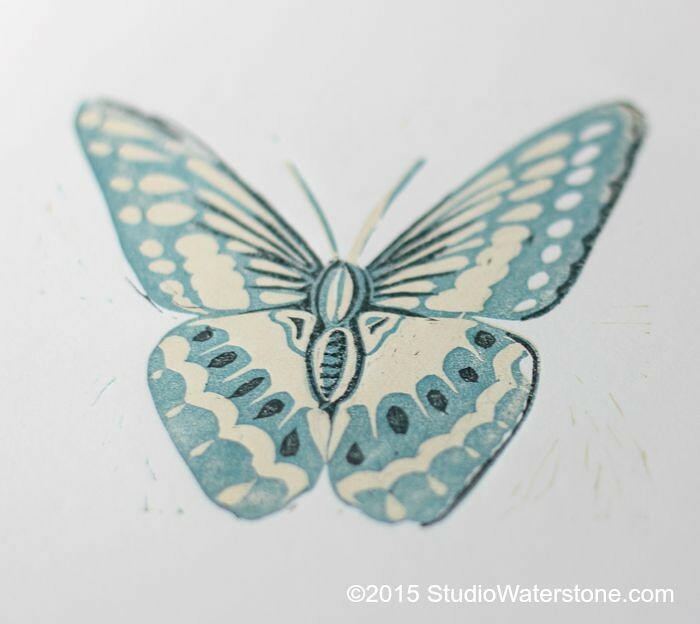 Hence, MANY different prints are made in an attempt to end with one non crappy result...at least in my world. So, if you're actually doing a series, you'd create more than your targeted number of prints. After this picture was taken, I decided to carve out the holes on one side to keep white. I carved away the negative spaces for my second color. Finally, I carved practically everything off, keeping a few lines for details with the darkest color. Below is a collage of the process. I made this at-a-glance sucker for my own use. 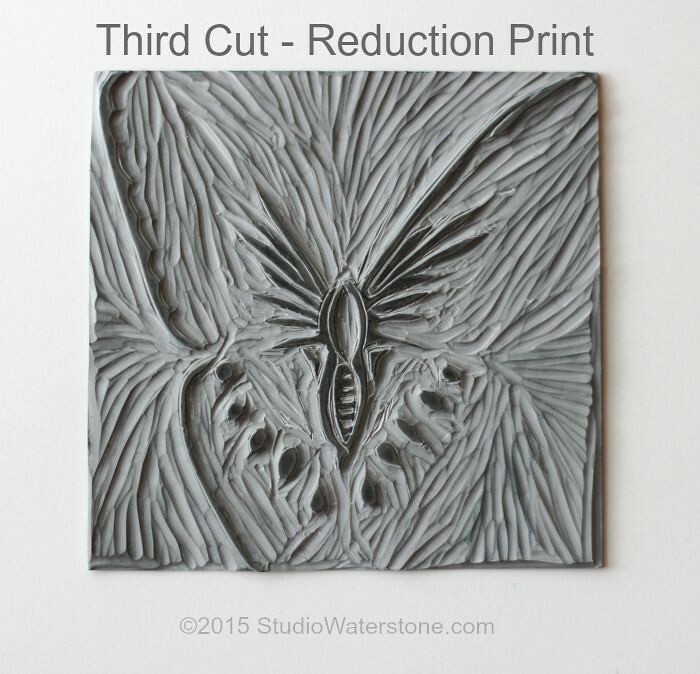 Because understanding reduction printing is a process. If you'd like this chart, just click on the image and download. So there you have it. A simple, three color reduction print. Now that I've been able to wrap my mind around the process without completely flubbing up, I'm doing more. It's kind of addictive. This picture does of great job of explaining the process visually. • To view weeks 1-32, click here. 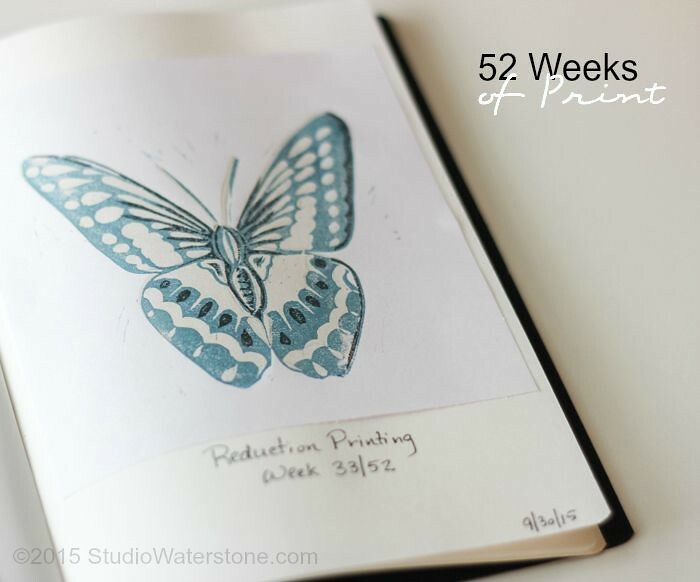 • Follow Studio Waterstone on Bloglovin. 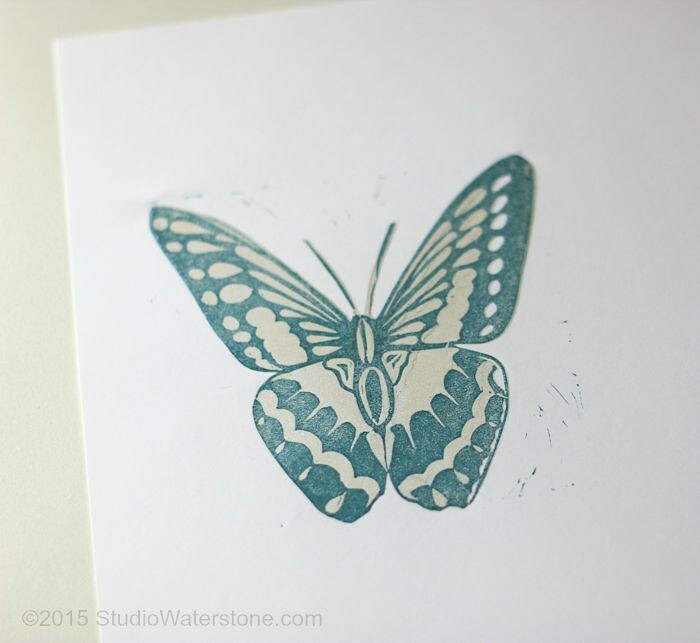 Love seeing how you do this, really useful - and the butterfly is gorgeous! Oh my goodness. Absolutely stunning - you are amazing! Wow, that's impressive !!! The result is simply gorgeous ! Thanks Sonia. I think the key is to to try it with something simple that you're okay if it's a fail. 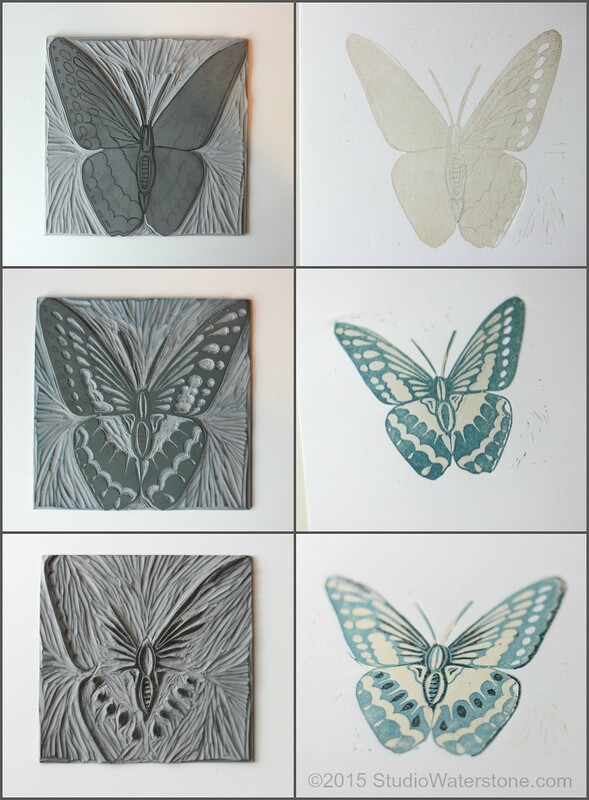 This is impressively beautiful - I love lino printing but have yet to be brave enough to go the reduction route. Thanks, Erin. As I said to Sonia, trying it out with a small, simple carving makes it not such a big deal if it fails. That way at least you've learned the process. At least that's best for this hands-on learner. I like how you use the term "simple"....NOT! This is fascinating! Beautiful job! Thanks for sharing your process! Yeah Patti, had I had better sense I would have carved a circle or something equally simple for this first experiment. I had the very same thought as I was carving out those little lines. But nooooo. This is about as simple as my addled brain gets. Good job and great results.